the adventures of tartanscot™: "A Flurry . . . "
This is exactly what my day feels like today. Chic. Stylish. And a flurry of motion - moving faster than the shutter speed of the camera. Finishing up some paperwork and projects in the office this morning - and then off to shoot a project this afternoon. Hi Scott...What a marvelously vibrant runner. Yes, life often feels like this. Hard to believe this runner is real...so beautiful with the complementary statuary. 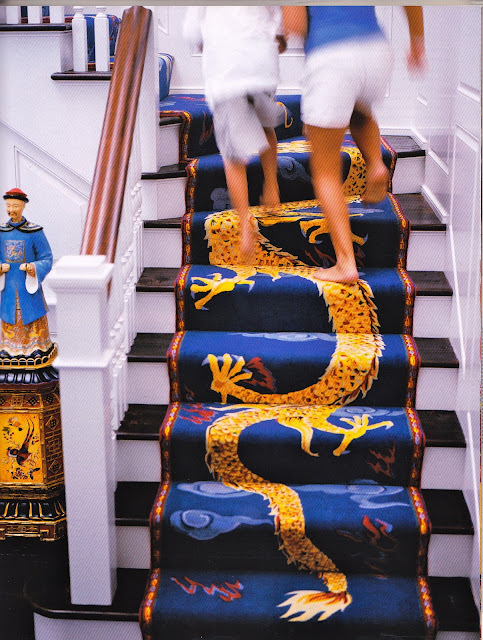 I LOVE those stairs & that snazzy rug! Race ya to the top!